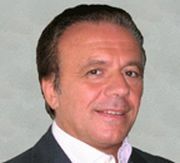 Dr. Tullio Simoncini is a surgeon specializing in oncology, diabetology, and in metabolic disorders. Dr. Simoncini discovered that the cause of this terrible illness is a fungus and tried hard to persuade scientists how wrong are the actual theories on cancer. His therapy based on the antifungal substance, sodium bicarbonate, is harmless and very effective and should be adopted all over the world.